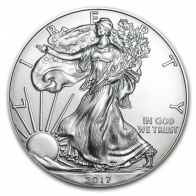 SwissBullion.ch sell American minted silver coins including the highly popular 1 Ounce American silver Eagle coin. 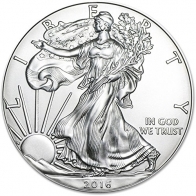 American silver coins are all issued by the United States Mint and have legal tender status. US Minted coins are some of the most popular in the world, and are available in gold, silver and platinum. 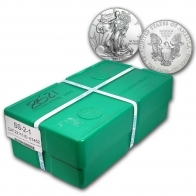 All silver American Eagle coins are available for VAT-exempt Swiss storage and for worldwide delivery. Silver coins are available individually and in monster-boxes.